A Lifestyle of Peace: Philosophy, Jesus Christ & Apologetics: A Philosophical Transformation Series: Science & Faith: Does God Exist? A Philosophical Transformation Series: Science & Faith: Does God Exist? Truth is under attack today. In fact it’s suggested that we live in a post-truth culture. But I don’t believe that’s true. Truth is by it’s very nature exclusive. And that tracks with reality. Multiple contradictory truth claims can’t all be true. If 2+2=4, that is the only answer to that question. The answer can never be anything else. Which is why all religions can’t be equally true. Christianity says there is one God, Hinduism would say there are millions of gods, while Buddhism would say there is no god at all. They can’t all be true, only one can true. This is due to a rule of logic called the law of non-contradiction. If the answer to 2+2= 4 then it cannot be 3 or 5, or 5,000 or -20. Truth is exclusive. 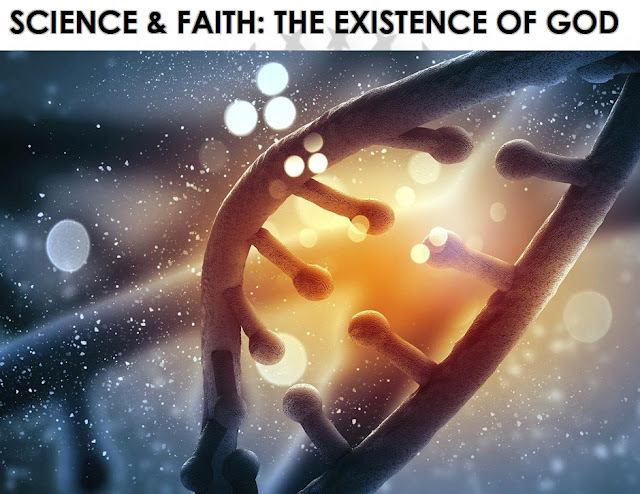 Today, building off the foundation that all truth is not relative, but objective, fixed, and absolute, we are going to look at the scientific evidence for the existence of God. We’ve talked about this in prior messages, but I think it’s so important that we keep this information fresh in our minds. We want to have a lot of these facts tucked back into our minds for when we encounter those who do not believe in God. But it also helps us to keep firm in our faith. We’re surrounded day and night by a contrary message from the television, much of the internet, Hollywood, and of course the mainstream media. That message is: Belief in God is stupid. “Belief is blind faith in that which contrary to reality,” that’s a definition given by Richard Dawkins for Christians. When I first discovered the four key arguments for the existence of God, and many other facts of science and history I felt like I had been tricked. I felt like I had been purposefully led astray by public education and college education, and by the dominant culture. I was shocked by what I learned. So I try to share it as much as possible, so others can know the truth. The media, CNN, NBC, ABC, CBS, they always give us the false dichotomy of “science vs. religion.” But as I researched I discovered that science actually supports the idea of the existence of God. And it turned out as I looked back in history, that the greatest scientists of history were people who believed in God. In fact the sciences themselves were born from Christian men looking into the natural world expecting to find order and design, based on the belief that God created the universe. Galileo, Newton, Pasteur, and Bacon were all Christians. Albert Einstein, Charles Lyell, Max Planck, and many other notable scientists were deists. I felt like the wool had been pulled over my eyes! It was quite compelling to learn that the greats throughout history had been Christians and believers in a God of the universe. See, growing up I didn’t really believe in God. In fact I argued with my priest when I was 16 about the existence of God. I wish someone had told me all the evidence back then. Maybe I could’ve avoided years of confusion, depression, and drug addiction. See, I’m a skeptical sort of man. When someone tells me how great something is, my first reaction is to be very skeptical. And for good reason. If someone knocks at your door these days or tries to convince you how great something is, 9 times out of 10 they are trying to either sell you something, or recruit you into a cult. It’s sad, it really is. Have you ever had someone try to get you to join an amway scam? Or something like beach body, or jamberry nails, or thrive, or team life, where they try to recruit into their pyramid to sell stuff for them? That is the worst. The feeling of being scammed is quite ugly. And you never want to see that person again. I remember one time a buddy of mine tricked me into going with him. And he offered to drive. Why? So I wouldn’t be able to leave during the presentation. And it was like it’s own separate religion. They got on the podium and announced people around the country who were making all this money. And every time they listed someone, everyone got on their knees and applauded. And I found myself doing it too! Just to kind of, blend in more. It was truly disturbing. Then they surrounded me, and demanded of me if I wanted to reserve my seat for $50. I said I needed to do some research. And sure enough, Forbes magazine listed team life as a prominent pyramid scheme. For us analytic types men, and women, whenever someone approaches me about stuff, I want to know: What is the proof? What is the evidence? Show me the facts. And I’ll decide if I’m going to believe it. So for those out there, who might harbor a skepticism about the Christian faith, let’s talk facts. Before we go any further, I’d like to share my sources with you. I won’t be able to present even a quarter of what I’ve learned in one post, so I encourage you to pick up these resources. So these are the arguments that knocked me flat on my face. There are plenty of others, but these are the four that impacted me the most significantly. For the sake of time we’re only going to look at the first two. But if you’d like to learn more about the contingency argument and the moral argument, click here. They also call this the anthropic principle. A few examples that most of us already know… is that if the Earth were just a little closer or further away from the sun there would be no life on earth. If the moon wasn’t there, there would be no life on Earth. If the Earth wasn’t tilted the seasons would be too extreme for humans to survive. Scientist Dr. Hugh Ross has identified 122 anthropic constants that must be precisely tuned for human life to exist. Lightning – did you know if storms didn’t generate lightning there could be no life? Without any lightning there wouldn’t be enough nitrogen fixings in the soil. But if there was too much lightning there would be so much fire damage there would be no life. 24 hour day – if the days were longer the temperature difference between night and day would be too great for humans to survive, if the days were shorter, atmospheric winds would be too strong, and no life could survive. The earth’s crust – If the earth’s crust were even slightly thicker too much oxygen would transfer to the crust and prevent life, if it was much thinner there would be too many volcanoes and no life could survive. Jupiter – If Jupiter wasn’t in it’s current orbital rotation Earth would be devastated by cosmic debris. Jupiter acts as a giant vacuum cleaner for space material. The point is this: All of this design and fine tuning points to the fact that there is no way human life could’ve evolved from space rocks. There’s no natural reason to believe that all of these constants are just right for our species to survive. The best explanation for all of these constants is that we are not here by accident, but that an intelligent designer created the Earth for us to live upon. 1. Anything that begins to exist has a cause. This cause must be timeless, spaceless, eternal, and infinitely powerful. So this cause is best explained by existence of God. “It was my science that drove me to the conclusion that the world is much more complicated than can be explained by science, it is only through the supernatural that I can understand the mystery of existence.” – Allan Sandage, an American Astronomer, discovered the age of the universe, the hubble constant, and the first quasar. Believe me, for the sake of time I’ve barely even scratched the surface. I encourage you to do more research on your own time. It is truly fascinating. So if all these facts are out here, if its so obvious that God made the universe, why isn’t it a commonly accepted fact in our society? Romans 1:18 ESV says,” For the wrath of God is revealed from heaven against all ungodliness and unrighteousness of men, who by their unrighteousness suppress the truth. And of course the scriptures also say “the fool has said in His heart: there is no god.” (Psalm 14:1). Here is a honest and frank quotation from Geneticist Richard Lewontin who describes this willful blindess. He said, “‘Our willingness to accept scientific claims that are against common sense is the key to an understanding of the real struggle between science and the supernatural. We take the side of science in spite of the patent absurdity of some of its constructs, in spite of its failure to fulfill many of its extravagant promises of health and life, in spite of the tolerance of the scientific community for unsubstantiated just-so stories, because we have a prior commitment, a commitment to materialism. Our modern society is really quietly ruled by a series of men who began to envision a world without God. Their names are John Keynes, John Dewey, Sigmund Freud, Julius Wellhausen, Karl Marx, Soren Kierkegaard and Charles Darwin (Seven Men Who Rule the World from the Grave by Dave Breese.) And they developed worldviews to counter and suppress the Christian worldview. Think of the enlightenment, deism, humanism, modernism, and most recently post-modernism. 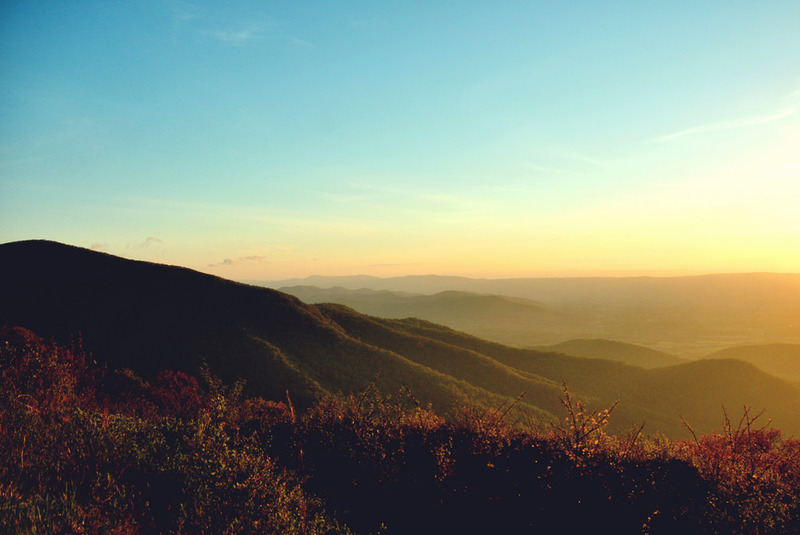 These worldviews were built as counters to the Christian worldview. Darwin’s theory of evolution is really the big foundation to this materialist, naturalist worldview. But Darwinism doesn’t match reality. It can’t explain getting life from non-life. It can’t explain getting something from nothing at a cosmic beginning. Yet it’s taught to our children on public, government dollars. And we lose young people by the millions. Is it any surprise then that young people turn to drugs, alcohol, sexual misconduct, pleasure seeking, and self centered lifestyles when they believe they are the product of cosmic slime and star dust? Truth matters. It really matters. And so does worldview. And science, when it’s hijacked to push an atheistic agenda. So as we talked about previously, we are in a battle of worldviews. The material, Darwinist worldview is not believed by the majority of Americans. In fact if you were to look at Escanaba, you’d see a largely Christian society. Much of the same is true for the Midwest, and much of small town, middle America. Yet the worldview of the materialists is quite prominent in media, the sciences, colleges, public education, culture and the television. So we see this battle of worldviews taking shape on a national stage. It affects everything, education, social policies, religious faith, science, medicine, and politics. But despite all the noise, all the hype, all the brash statements by academics, atheistic scientists, and media talking heads, you may rest assured as Christians that you have placed your faith in a God who is certainly quite real. Your faith is intelligent faith. And they suppress the truth willfully, because of one simple reason: moral accountability. If God exists, and Christianity is true, then I can’t sleep with whoever I want. If Christianity is true, I will have to give an account for my life . If Christianity is true, I am in desperate need of a savior. And that’s not an easy thing to admit. But Jesus Christ is quite real, he is risen from the dead, our great redeeming savior, seated in glory at the right hand of God, he is a real, true, savior. You’ve been given a very small taste of the wealth of evidence for the existence of God. There is so much more. I encourage you, explore those resources, order a copy of the Truth Project, and go on YouTube, search for Reasonable Faith videos, RZIM videos, or check out some books from the library. There is so much of this stuff, and it’s simply fascinating. The truth is we’ve been led astray, but we’re here today, because God almighty has given us His favor, he’s given us his Son the Lord Jesus Christ. He has made reality. Today we are in a world where his presence is shaded. He is hidden from us. But the evidence of His work is everywhere. Why did he set things up like this? Why did he shroud his direct presence? Well, the first humans tried to play god in the garden. And maybe God in his sovereign judgment decreed that we would see what a world looks like without God’s direct presence. Yet he would also offer us an escape route, through his son Jesus Christ, so that if believe in Him, we await a remaking of the universe, the earth, and the human race, reset to state of glorified perfection, with no more sin, and returned to the glorious presence of the God who made us. It is not an easy thing to operate by faith. We don’t see God, we see the world around us, and we’re constantly bombarded by a contrary worldview. Which is why we have to fight for our Christian faith. We have to keep it in our minds. But we can believe and remain faithful to Him. He has given us his son Jesus Christ, so that if we believe in Him, we await a remaking of the universe, the earth, and the human race; reset to a state of glorified perfection, with no more sin, and returned to the glorious presence of the God who made us. Though you don’t see God right now, your destiny is to see Him and be near Him forever. This is our destiny. This is our coming future. It is not conjecture, it is reality. We must be faithful to it.